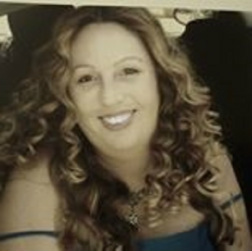 I am a West ﻿﻿Australian﻿﻿ ﻿Psychic, the most honest and down to earth you will find. I live regional WA. It doesn't really matter how long I have been doing this work, we have all heard a zillion times how many years someone has been reading for. What matters is the connection. A good psychic is the one person you can confide in and trust with total privacy and confidentiality. I can help to give strong advice on how to deal with difficult situations and give you a source of upliftment and hope. I would like to help guide you according to the direction your guides and angels would like to see you go, the path that will lead to the greatest happiness. I can also outline upcoming difficult situations, if you can alter your thought patterns and responses, everything can change around you. A good reading can make you feel strong, confident and in control of your life again. I see many patterns in life, I can help you to see them to so you are better equipped to change them or master them whichever is your course. I hope you will consider taking a psychic reading with me, I pride myself on my honesty and dedication in psychic work with down to earth, informative readings that can give you tools to use to improve life, change direction and more. There are always positives in our life somewhere but we can tend to become blind to them or don't feel that they are there at all. They are and I want to try and help you find them and use them to create momentum. Affordable Phone Readings with Credit/Debit Card, Direct Deposit or PayPal﻿ facilities. Payments $30 for 30 mins and $60 for 60 minutes on the payment page (please read instructions). You would place your booking from the Bookings page (Please read the instructions). Reports $20 are purchased from the Reports page and delivered by email. You can download a sample report from the bottom of the Reports page. Link to Facebook at the top and bottom of this page.